Joliet Union Station was, to put it mildly, a great place to watch trains in the early 1970s. Whether today's safety/security conscious railroads (or Amtrak) would allow a non-ticketed bystander to stand on the platform and bask in the sound and light show of two heavy freights passing on either side is questionable, at best. 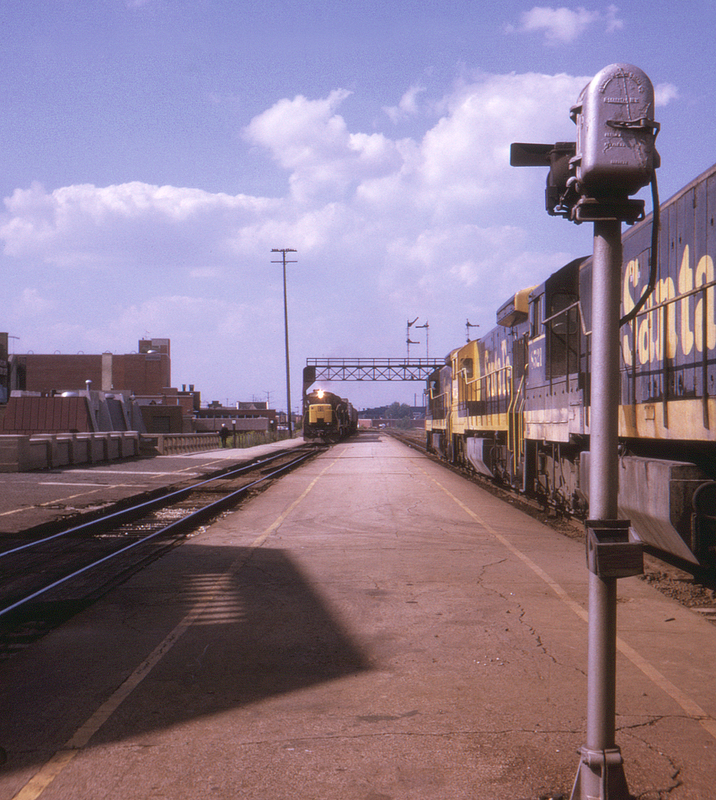 The semaphores, including the pedestal-type dwarf signal in the foreground, were the icing on the cake.